Progesterone is also a key precursor to other hormones including cortisol, testosterone and estrogens: estriol, estradiol and estrone. At menopause, a woman’s progesterone level drops to nearly 0 and this decline can produce symptoms because of the disruption of natural hormone balance. We are also exposed daily to hidden estrogens and this can produce many unpleasant effects. If you have symptoms such as mood swings, PMS, bloating, headaches, hot flashes, and insomnia, then you may be dealing with estrogen dominance. This occurs when there is too much estrogen and not enough progesterone to balance its effects. High estrogen also keeps your body from using testosterone which is linked to losing muscle mass and lowering energy and stamina. Progesterone is a natural steroid hormone that assists the functions of estrogen and other hormones in physiological functions such as balancing blood sugar, boosting metabolism, promoting normal sleep patterns, reducing depression and anxiety, improving libido, assisting menstrual cycles, preparing the uterine lining for pregnancy and building new bone tissue. 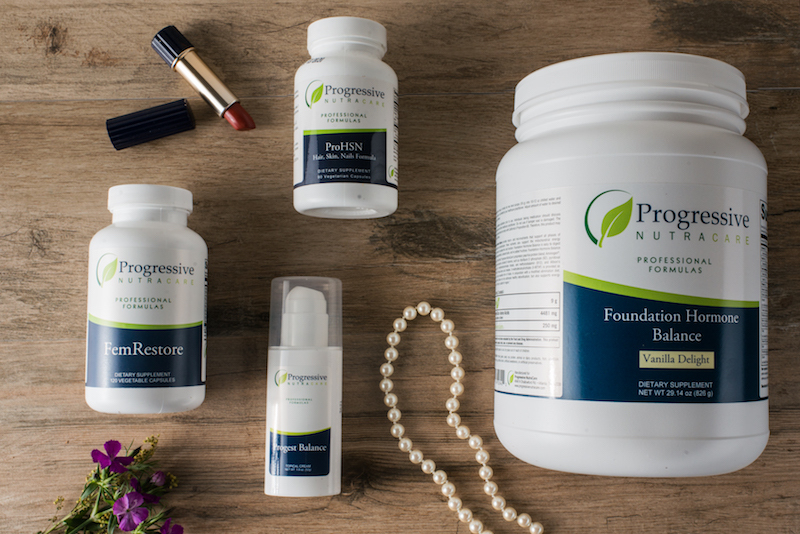 The progesterone used is a natural bioidentical hormone product that has a molecular structure identical to the hormones our bodies produce naturally. Progest Balance is a topical cream intended to provide hormone balance. Progest Balance is for individuals that may be experiencing excessive menopause symptoms, low libido, depression or anxiety or would like to help prevent osteoporosis. Progest Balance is intended to only be applied as directed by your healthcare practitioners.